Closing The Senate House In Kingston? The State proposes to close the Senate House in Kingston in a new round of closing or limiting hours of popular locations to help close the State’s multibillion-dollar budget gap. Seems to be in the hands of the legislature now. Click on this LINK for information on how to contact all of those who represent the City of Kingston. It wouldn’t hurt to contact Ward 2 Alderman Tom Hoffay (EMAIL: thoffay160@gmail.com PHONE: 845/331-8317) who could provide more helpful information on the subject. Kingston cannot afford to lose one of its historic attractions. Kudos to the organizers of this new Neighborhood Watch Group. Although it’s roots are in Uptown, Kingston, it is a project that reaches out to the entire community – helping us to all watch together. Have you heard the news? 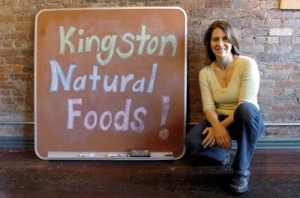 Kingston Natural Foods, an organic food store and provider of local artisan products, is opening in the Rondout Spring 2010! That means that Jennifer McKinley-Rakov will not only host one of the biggest organic and natural foods buying clubs (in the NATION! Here, you can purchase anything and everything natural and/or organic for your family affordably) but she will also be open to the public five days a week selling healthy food items galore! It also appears that the once a month ‘farmers market’ she organizes may be expanding. It’s long overdue to have an outdoor market downtown. What a great complement to what’s already happening Uptown. There aren’t any short cuts in creating a small business, and hard work most definitely pays off. We think her model is most inspiring. Through KingstonCitizens.org, a great deal of time and effort has been made to inspire the citizens of Kingston to work together and collectively take responsibility for the shape of their community and local government. Putting energy into local issues and “arming” oneself with the facts on any current topic is the most practical and effective way to change the world around us. The creation of the recent Tea Party movement is not a big surprise to me – though I still find myself perplexed. Here, we live in a part of the world where it is possible to gather, discuss and propose new ideas. We have the freedom to insist that our government reflect our point of view and have the ability to change it if it does not in a non-violent manner. But that can’t be done only during an election cycle. What relationship in your life works when you only check in with it once every 2-4 years or in crisis? Being civically responsible is a pact that we each need to make in order to live together in a reasonable and humane fashion. In the midst of deep financial insecurity, it is simple to see how some of the values of the Tea Party might be appealing to many. But packing pistols and threatening to revolt as a way to take back a government – in this day and age – is a primitive and sinister shortcut. In Kingston, Alderman from Wards one and five are actively reaching out and willing to meet monthly or as often as there is interest. I believe that all nine of our alderman would be willing to do the same if their constituents requested it. If you find that is not the case, then you can pull your neighbors together in the form of a community or neighborhood watch group. Here’s another suggestion for the locals disheartened by their current local government administration. Insist on term limits and change the charter as it reads now. That’s a good initial step that would help to keep things moving along, and it’s entirely possible to accomplish. Bring some new ideas to the table to help create a healthy community and strong local economy. Leave some here in the comment section if you’d like. …and for those who choose to own a gun, put it back in the closet for crying out loud. 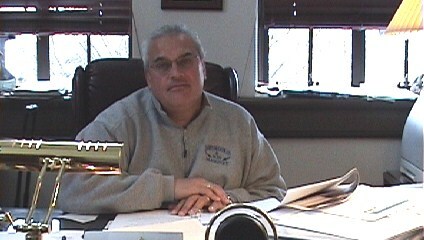 Mayor James Sottile reading his 2010 State of the City Address from his office in February, 2010. (Video courtesy, Clark Richters of ‘The Kingston News Blog’). 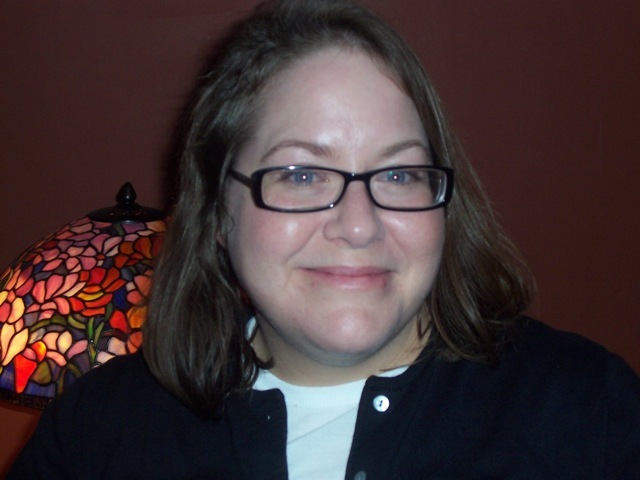 As a new alderman to the Kingston Common Council, Ward 5’s Jennifer Fuentes agrees that Kingston faces many hurdles – especially in regard to the economy, but the city has many attractable assets that could work in Kingston’s favor. The city’s proximity to New York City and Albany can be leveraged with these assets to market Kingston to the business community. Fuentes took time with KingstonCitizens.org to discuss these issues. This is part two of a three-part series of interviews with freshman common council members. JF: As an upstate city in New York, Kingston leaders must rebuild our economy to create quality jobs that can sustain our middle class. Too many residents struggle to scrape together a living at wages that do not reflect the actual costs of living. This problem of underemployment/unemployment, multiple jobs to make ends meet and contingent work drains the quality of family and neighborhood life. For the City of Kingston this means smaller tax revenues to provide the services our residents need and fewer businesses that can compete in this environment. The top county employers are the public sector (Education, County, State, and City) and health care (heavily taxpayer subsidized), but with declining tax revenues we are likely to see future cuts to this workforce. This problem must be resolved thoughtfully because finding few opportunities, our young people are leaving the area, draining our talent pool. JF: Kingston is a unique community that has many great things to offer. There is something here for everyone from the arts and culture, history, waterfront access, and outstanding parks and recreation. Clearly, we must do a better job marketing our assets and promoting tourism as one component of a healthy economy. Hiring a Main Street Manager is a step in the right direction that should be supported and fully funded. Our proximity to Albany and NYC, access to the NYS Thruway, and Business Park are also an asset that can be marketed to attract jobs. The Solar Consortium offers exciting prospects in technology and manufacturing. However, both tourism and green technology will offer no panacea to the challenges we face unless we promote the creation of good jobs that provide benefits and sustainable wages. What I love best about Kingston right now is the indoor winter toddler park at the Andy Murphy/Mid-town Neighborhood Center. Once the weather breaks, my son and I will be visiting the Forsyth Park almost daily. We have outstanding Parks and Recreation programs in the City of Kingston that I think too many of us take for granted. It serves many families and our seniors with day camps, drop in centers, organized trips, educational programs, etc. Even for a city our size to have a YMCA/YWCA is very fortunate – note that our neighbor, the City of Poughkeepsie, has lost theirs. These are all opportunities that are low cost to no cost that we should be proud of. Additionally, so much work is being done to improve our waterfront and increase pedestrian and boat traffic, that there will be even more promising opportunities on the horizon. The quality of life that is offered by our community is outstanding for a community our size. We should embrace our location as a mid-point to Albany and NYC and better promote Kingston within the context of a regional Hudson Valley economy. That means coordinating marketing and economic development efforts between adjacent communities and counties. The reality of living in the Hudson Valley is that many workers must commute to find work and bedroom communities are scattered throughout. A recent study showed upwards of one-third of our workforce leaves Ulster County for employment. Kingston maintains small town charm in a city environment with access to comprehensive city services such as sanitation, professional police and fire services, two hospitals, and good schools. JF: With all due respect to the authors of the bankruptcy proposal, I disagree with the premise that bankruptcy is a viable option. The city is not near our borrowing capacity and maintains a relatively favorable credit rating; overall a sound financial position for a community of our size and upstate location. It is unlikely that the state would agree to assume our liabilities given our financial outlook. We also would be damaging our ability to plan for future needs, such as revitalizing the mid-town corridor and upgrading our aging infrastructure. A bankruptcy would mean our credit (and reputation) is destroyed. While it is true that employee wages and benefits consumes three-fourths of our budget, this is the nature of government as a service providing institution. Most of what we do is perform services which are labor intensive. It is my opinion that sometimes our employment contracts are used as an excuse to avoid issues. A leaner government will mean creative problem solving for all of us and I don’t believe that approach has been fully capitalized on. Employee relations have become entirely too political and sensationalized in the media. Our workforce as a whole does an incredible job with fewer resources than ever and deserves our praise. Many of these employees live in the City of Kingston and contribute to our quality of life off the job as taxpayers, homeowners, coaches, volunteers, and good neighbors. Each contract should be renegotiated in the next few years with an eye towards fairness for the employees who are doing more with less and a recognition that our tax base is declining. JF: It is always important to allow for new ideas and voices to enter our policymaking dialog. As a new councilmember I will always strive to bring transparency and openness to the process of the Common Council. I will begin holding monthly Ward meetings to better solicit input and ideas from the residents of the 5th Ward beginning in February. JF: The eclectic mix of people that live here and charm of our historic neighborhoods. It is also important for me to live somewhere where I can walk to the park, to the gym, to church, to the convenience store and my location offers many opportunities. I appreciate the many great parks and recreation activities for my family and close proximity to natural areas. This is a great community to raise a family. I had the great pleasure to meet and listen to Gerald and Victoria at Ward 1’s community meeting this past February (by the way, if you haven’t yet seen Ward 1 Alderman Andi Turco-Levin’s blog yet, you must. She is doing an exceptional job at City Hall and in reaching out and listening to her constituents. I highly recommend you bookmark her BLOG ). Sometimes, the city of Kingston officials seem to work against its citizens with a lack of good planning. That’s not to say there aren’t good people working in city government. What I’m trying to get at here, is that in order for this all to work as it was intended, the citizens need to take an ongoing active role in it all. You mustn’t grumble over it either. Part of the problem is due to a lack of involvement and oversight by the people. Thanks to those mentioned in this post, and to all of the citizen groups new and old who are working to make the city a cool place to live while trying to incorporate every single one of it’s residents so to nurture it into the rich and diverse community that it is meant to be. As the country struggles to find a sound solution to universal healthcare, we all know many who are without it. Back in 2008, I did a little research that I’d like to repost and share with all of you. Below are three options for affordable and in some cases FREE healthcare available to NY State residents who qualify. Remember that in New York State even someone with a pre-existing condition can receive coverage. As things change from year to year with healthcare companies, you might discover new details to the information below. If you do, simply state them in the comment section of this post. * This is a New York State program designed to give all people (single/families) health care at an affordable cost. To Qualify – Click this LINK to see if you are eligible. – You must be a New York State Resident. – Not eligible for medicare (65 +) or disabled. – Have not had health care for at least a year unless you have lost your insurance due to an involuntary event (lost job, dropped from Cobra plan, etc). – Meet monthly income qualifications. This is another New York State program available to single adults, couples with children and parents with limited income. There is no initial application process. If you feel you would qualify, please call the number above – 877-934-7587. The operator will direct you to a facilitator in your County for an interview. – You must be a resident of NY State. For eligibility, click on this LINK or call 800-698-4543.